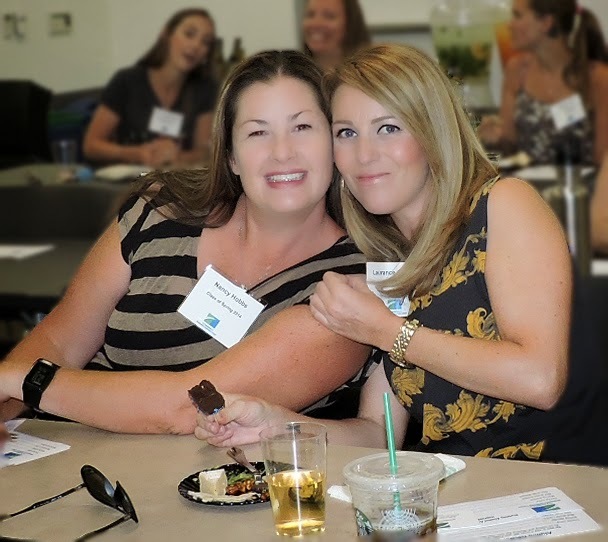 About two dozen nurses had a reunion of sorts recently at Grossmont College to launch a nursing program alumni group with the support of the Foundation for Grossmont & Cuyamaca Colleges. The mostly recent graduates of the college’s high-demand nursing program returned to the campus Wednesday to be part of the Grossmont College Nursing Blue-Ribbon Panel to brainstorm ideas to expand membership of the new alumni group and get nursing grads numbering in the thousands to reconnect with the program. “It’s not only a wonderful way for our graduates to renew ties and foster networking opportunities, it’s a way to support the program and its current students,” said Debbie Yaddow, the college’s dean of allied health and nursing. Of the estimated 7,000 Grossmont College nursing alum existing today, about 80 percent are believed to be employed in in the field, well above the 54 percent statewide average for other nursing programs. As William Shakespeare once wrote, all the world’s a stage. 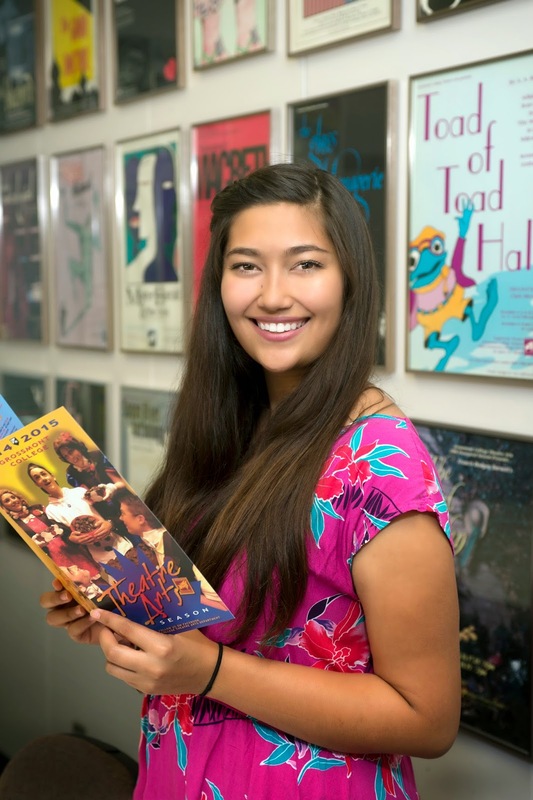 Just ask Kassandra Wallies, an active participant in Grossmont College’s Theatre Arts Department who is planning on a career as an elementary school teacher. She’s also been capturing the attention of Grossmont faculty and staff, who laud Wallies for her work ethic and determination, not to mention her 3.5 GPA. Besides being involved at the Grossmont College Theatre Department, Wallies has been working as vocal director at Clairemont High School, from where she graduated just three years ago. She also has performed with Theatre Alive! in downtown San Diego, and will be cast in its production of `Evil Dead, the Musical,’ from Oct. 24 thought Nov. 1. The Foundation for Grossmont & Cuyamaca Colleges has stepped up its donor recruitment and fundraising efforts to benefit students with the hiring of new staff members. 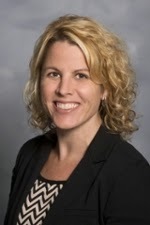 Lisa Connor is the director of development, a job that entails connecting with potential major donors. Heather Cavazos has been brought aboard as a development coordinator to plan events for the foundation’s retiree network and alumni association, as well as finding ways to increase community involvement in the philanthropic organization. John Valencia, associate vice chancellor of Advancement and Communications for the district and CEO of the Foundation for Grossmont & Cuyamaca Colleges, said that engaging the community is crucial to developing a robust fundraising program to bolster the colleges. Four of the top high school seniors in the country are enrolled at the small Grossmont Middle College High School, according the latest results of a National Merit Scholarship competition. Three students – Devon Decker, Claire Negus and Ryan Zentmyer – have reached “commended” status; one – Finian Lickona – has reached the prestigious level of National Merit Scholarship semifinalist. With only 36 seniors at the school on the Grossmont College campus, that means more than 11 percent of the senior class has reached elite status in the nationwide competition involving some 1.5 million students. “We have a rigorous program, and I think these scores confirm the excellence we have here at the Middle College High School,” Grossmont Middle College High School counselor Sharon Neumann said. Local artists’ work will go on display in “Of the Element,” opening to the public Sept. 29 in the Hyde Art Gallery at Grossmont College, 8800 Grossmont College Drive in El Cajon. The five local artists represented include David Fobes, Steve Gibson, Anne Mudge, Marisol Rendon and Robert Treat. Their work will be on display through Nov. 6. All events are free and open to the public. Complimentary parking for the opening reception will be available in Parking Lot 1; vehicles must park in designated stalls. For more information, visit the gallery website at www.grossmont.edu/artgallery. Cuyamaca College will host the only debate between Rep. Duncan Hunter and challenger James Kimber in the campaign for the 50th Congressional District seat. The debate is set for Friday, Sept. 26, from 7 to 8:30 p.m. at the Cuyamaca College Performing Arts Theater, Building B, 900 Rancho San Diego Parkway, in Rancho San Diego. “As an integral part of the East County community, Cuyamaca College is honored to host this debate between Congressman Duncan Hunter and James Kimber, as it will provide our students and area residents an opportunity to learn more about the candidates and the political process,” said Cuyamaca College President Mark J. Zacovic. The debate is sponsored by Veterans Campaign, a nonpartisan, non-ideological organization whose mission is to train veterans to run for public office. Kimber, a Democrat who works as a physician assistant, is a Navy veteran who spent 20 years in the service; Hunter, a Republican who has been a Congressman representing the area since 2009, served in the Marine Corps and continues to serve in the Marine Corps Reserve. Good thing. Grinnell has become an integral part of a vibrant Grossmont College music program and gigs as a pit orchestra member at myriad venues, including the Old Globe, La Jolla Playhouse, and the San Diego Civic Theatre for a number of Tony Award-winning musicals. And now his debut disc, the Justin Grinnell Quartet’s Without You, has been nominated for a San Diego Music Award for best jazz album. Grinnell is no stranger to awards. 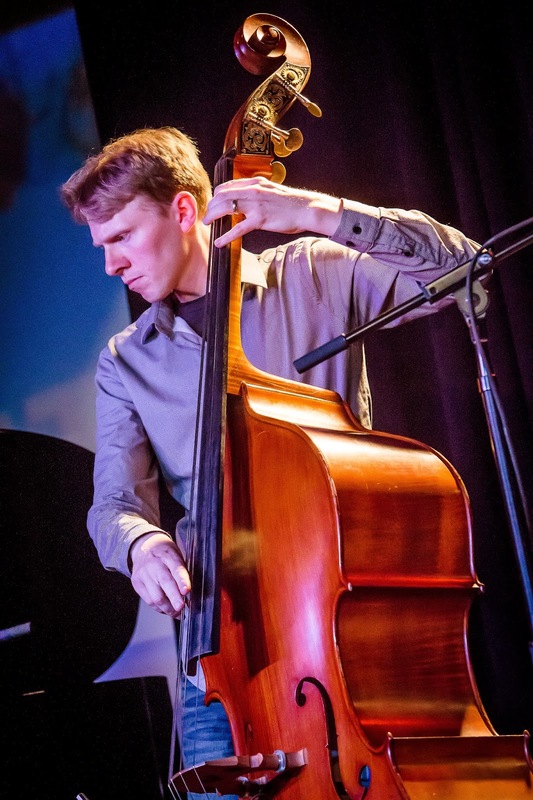 He is a member of the Danny Green Trio, which won the 2009 San Diego Music Award for Best Jazz Album for its debut CD. The trio’s second release, A Thousand Ways Home, reached No. 17 on the Jazz Week Charts for national radio airplay after its 2012 debut. The Grossmont-Cuyamaca Community College District Tuesday received the 2014 Higher Education Excellence in Diversity (HEED) award, a national honor recognizing colleges and universities for outstanding commitment to diversity and inclusion. It is the only community college district in the state and locally, joins San Diego State University and California State University, San Marcos, in its recognition from INSIGHT Into Diversity magazine, the oldest diversity-focused publication in higher education. The district will be will be featured along with 82 other recipients across the nation in the magazine’s November 2014 issue. This is part of an occasional series on Grossmont and Cuyamaca students who exemplify success. Rafael Navarrete is all about service. He proved that while serving eight years in the Marine Corps. He proved that while serving as a summer camp counselor at the Boys & Girls Club of East County. And he is proving that as an active member of the Grossmont College Student Veteran Organization and as president of Associated Students of Grossmont College. He is surpassing his goals. Besides his roles as student body president and veterans’ advocate on campus, Navarrete sits on a college committee engaged in a nationwide search for a new Vice President of Student Services. 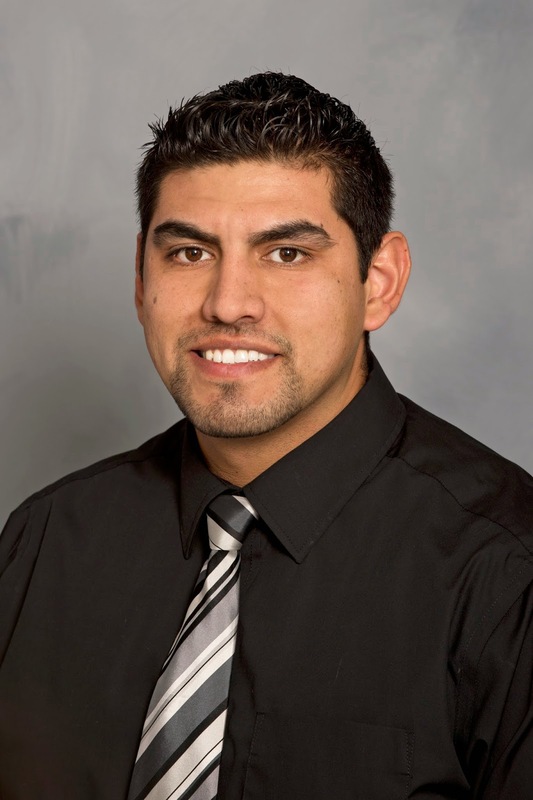 He also serves on Grossmont College’s Diversity, Equity and Inclusion Committee and the Bookstore Committee. “Rafael Navarrete is making a lasting impact at Grossmont College, and we are honored to have as a student leader a veteran who gave so selfishly to his country,” said Grossmont President Sunny Cooke. Memorial ceremonies marking the anniversary of the 9/11 terrorist attacks will be held Thursday at Grossmont and Cuyamaca colleges with the planting of 2,977 American flags representing the victims and the reading of names for everyone who lost his or her life. The Associated Students of Grossmont College (ASGC) is sponsoring a Spirit of 9/11 Remembrance Ceremony and Name Reading in the Main Quad. The Name Reading is scheduled to begin at 8 a.m. The Remembrance is set to start at 12:30 p.m. and will include comments from former Marine Sgt. And current ASGC President Rafael Navarrete, Grossmont College President Sunita (Sunny) Cooke, and Cindy Miles, chancellor of the Grossmont-Cuyamaca Community College District. The keynote speaker is Lt. Col. Douglas (Lucky) Luccio, deputy operations officer for the 1st Marine Expeditionary Force. Grossmont College student Javier Partida will be honored with the Spirit of 9/11 Award for scaring off an assailant who had targeted a fellow student, then escorting the victim to sheriff’s deputies at the college to report the crime. The Associated Student Government of Cuyamaca College and the Office of Student Affairs are remembering 9/11 by planting 2,977 flags on the Grand Lawn at the campus for a memorial beginning at 10:30 a.m. Speakers for the event include Cuyamaca College President Mark Zacovic; Col. John Farnham, commanding officer at Marine Corps Air Station Miramar; Mark Arabo, a spokesman for the Iraqi Chaldean community; Cal Fire Battalion Chief Jeff Lannon; and state Sen. Joel Anderson. The San Miguel Fire Department will display its 70-foot flag beside the Grand Lawn during the event. Associated Students at both colleges have teamed up to raise money for the 9/11 Memorial Museum at the site of the destroyed Twin Towers in Manhattan. Donations of $1 or more will be accepted at both colleges. Grossmont College is at 8800 Grossmont College Drive in El Cajon. Cuyamaca College is at 900 Rancho San Diego Parkway in El Cajon. Both events are free and open to the public. Music from the Middle East, a classical string quartet, contemporary tunes from Argentina, and a pop, rock, and soul ensemble playing Pink Floyd’s Dark Side of the Moon are among the performances set for Cuyamaca College’s fall concert series that begins Sept. 18. The fall season gets underway with Kembang Sunda, an Indonesian Gamelan ensemble. Based in San Diego, Kembang Sunda performs traditional Sundanese music from West Java. Gamelan ensembles developed in the ancient courts of Java and Bali, and primarily consist of tuned bronze percussive instruments. Kembang Sunda has been performing throughout Southern California since 2007. Other performances include the Danny Green Trio on Oct. 21, guitar virtuoso and Cuyamaca College instructor Jonathan Davis on Nov. 20, and the Cuyamaca College Wind Ensemble and Grossmont College Concert Band on Dec. 3. A full list of performances can be found at www.cuyamaca.edu/performingarts.